Book – Fiction. By Margarita Engle. 2011. 160 pages. 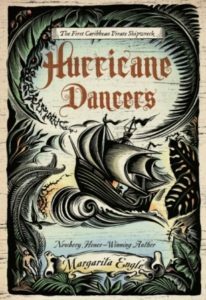 Historical fiction in the form of poetry about the conquest and resistance. The main character is a young man whose mother is Taíno and father is Spanish. Pirates hold him captive and use him as a translator. After a shipwreck he escapes and finds a Taíno community, only to be confronted again by his captors and the opportunity to determine their fate. The rich language in this book makes it enjoyable, informative, and engaging for children and adults. All faces turn toward me, both the painted ones and the bearded. I am the only one in this cave who understands two languages. My quiet voice feels like a small canoe gliding back and forth between worlds made of words. Margarita Engle is an award winning Cuban American poet, novelist, and journalist whose work has been published in many countries. She is the author of young adult nonfiction books and novels in verse including The Surrender Tree, a Newbery Honor Book, The Poet Slave of Cuba, The Firefly Letters, and Tropical Secrets. She lives in northern California. 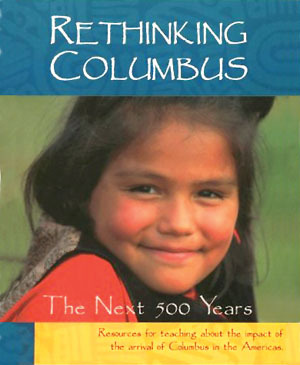 ISBN: 9780805092400 | Published by Henry Holt and Co.
One of the most popular teaching activities on the Zinn Education Project website is The People vs. Columbus, et al. which challenges student to critically examine the motivations for and impact of Christopher Columbus’ arrival in Hispaniola. Book – Fiction. By Margarita Engle. 2010. 384 pages. 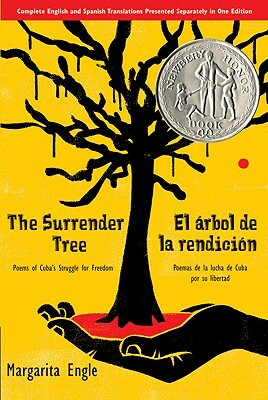 Bilingual book of historical fiction in verse about Cuba’s long fight for independence in the 19th century. Book – Fiction. By Margarita Engle. 2009. 208 pages. 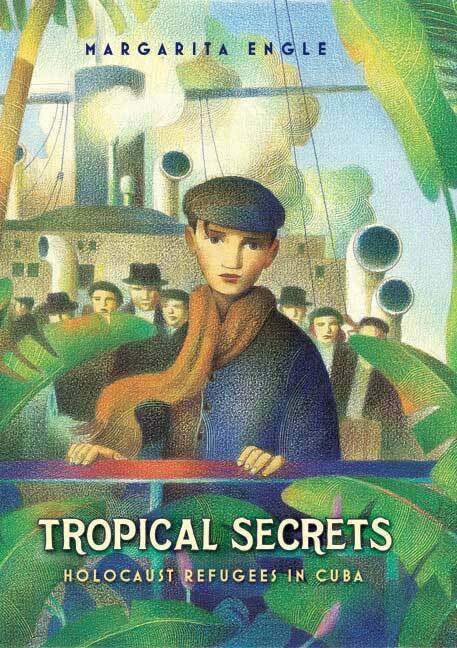 Daniel has escaped Nazi Germany and must make his way in Cuba once New York turns away his ship full of refugees.